Photo by New York Road Runners. The sun had disappeared by the time Hannah Gavios reached the finish line of the 2018 New York City Marathon. 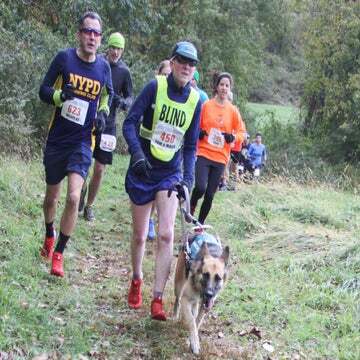 While many runners were chowing down on their post-race feasts, she was eyeing the end of a grueling 11-hour journey—on crutches. The weight of Gavios’ accomplishment is staggering when you consider how far she has come. Just two years ago, she was partially paralyzed after fleeing a would-be attacker in Southeast Asia. For more than eight hours, she waited for help at the bottom of a cliff, unable to move. Though her life as a competitive athlete and runner changed that day, her determination only grew. 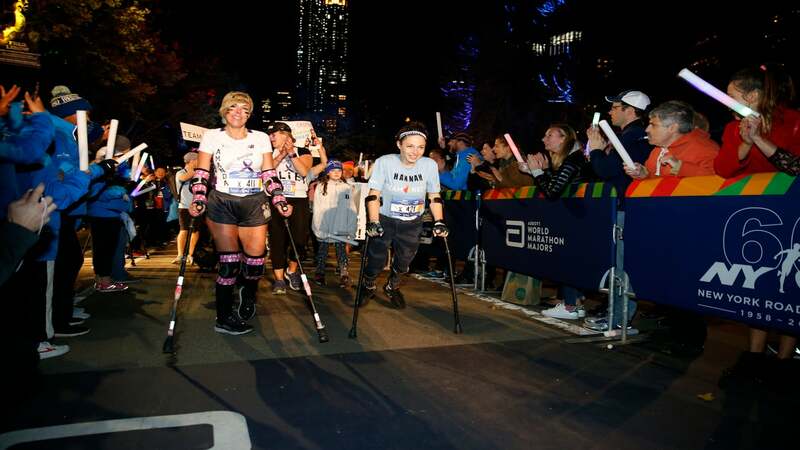 Once her wounds and muscles were able, Gavios began training for the November marathon in hopes of raising money for the Christopher & Dana Reeve Foundation. As a member of Team Reeve, her participation in the race was geared toward bringing awareness to spinal cord injuries and raising money to find a cure for them. Gavios was especially touched that Amanda Sullivan walked alongside her. Sullivan, who competes in marathons and Spartan races on crutches, has been an inspiration to Gavios throughout her recovery and training. “It was pretty incredible having her by my side the whole time,” Gavios said. By mile 18 of the New York City Marathon, the roads had reopened for traffic and the group traveling with Gavios occasionally had to ask the police to clarify directions along the course as a result. Each step Gavios took was helping further her goal as an athlete and member of Team Reeve. “Originally, I wanted to raise $4,000,” she recalled. 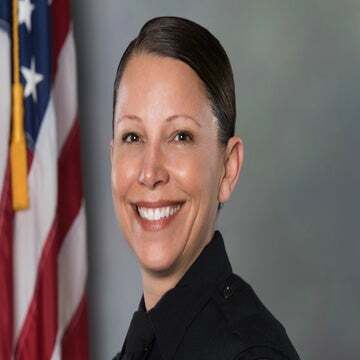 Currently, Gavios’ fundraising page—which is still open for donations—has raised almost $22,000, an amount that speaks to the overwhelming impact that her determination has had on others. Overwhelmed with joy, Hannah began to cry. She didn’t think that so many people, Shalane Flanagan among them, would come out to encourage her final efforts. Since the marathon, Gavios has traded the city streets for mountainous trails. Her next goal is to summit a mountain. “It’s symbolic of what I went through, being that my accident stemmed from being at a high place and falling,” she said. In many ways, she’s already started climbing by inspiring a nation with her resilience and passion for life. Armed with two crutches, one burrito and a team of supporters, Gavios reminded us all that we can break through our own boundaries—and her incredible story is still in the making.